The Firm – Linda London Ltd. The Firm – Linda London Ltd. THE FIRM’S GOAL is to create spaces that reflect each client’s needs, life experiences, and aspirations. Whether we are working with a client directly or with our prestigious roster of interior designers and architects, we are always striving for timeless, classic, elegance. We create magnificent working spaces that refine and elevate our clients’ way of life. The company’s mission is to create the ultimate statement of beauty and for each client to experience a luxury lifestyle. Cabinets are lined in chic fabrics to arrange china and dishes; sterling silver layered in drawers and labeled; drawers of chests and custom built-ins lined to perfection to hold your personal belongings and elegantly lit for easy access. Dressing rooms which are the ultimate sanctuary of elegance and style for a gentleman and lady contain closets beautifully within, displaying personalized hangers and often separated by color. And so much more — from custom bars to custom-sized linen closets and shoe racks and trees personalized for both men and women. 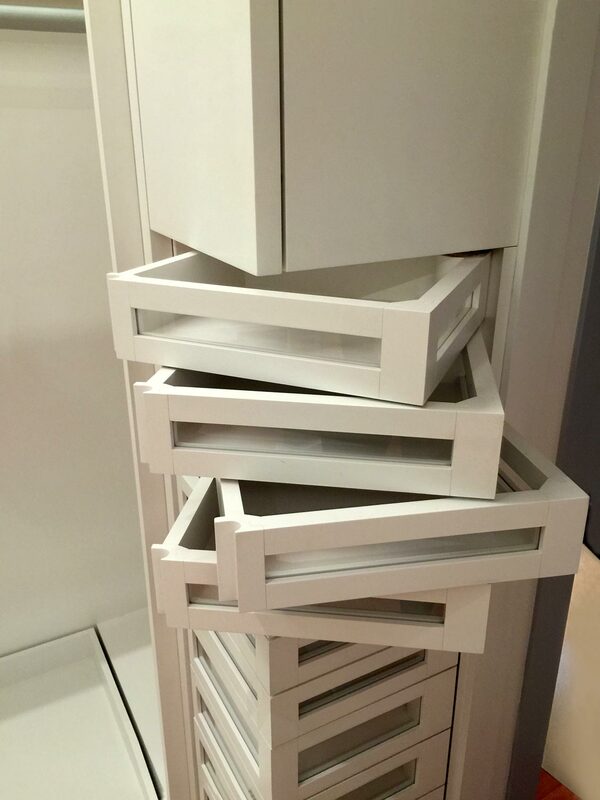 Hidden drawers everywhere — for no one to find but you. Creating a unique ‘luxury lifestyle’ in your home is a challenge for everyone. Our process defines a new level of design that enhances the way you experience your home.